Material: Shell fabric: 95% polyester, 5% elastane. Tight, one sleeve dress in tricot from CHIARA FORTHI. 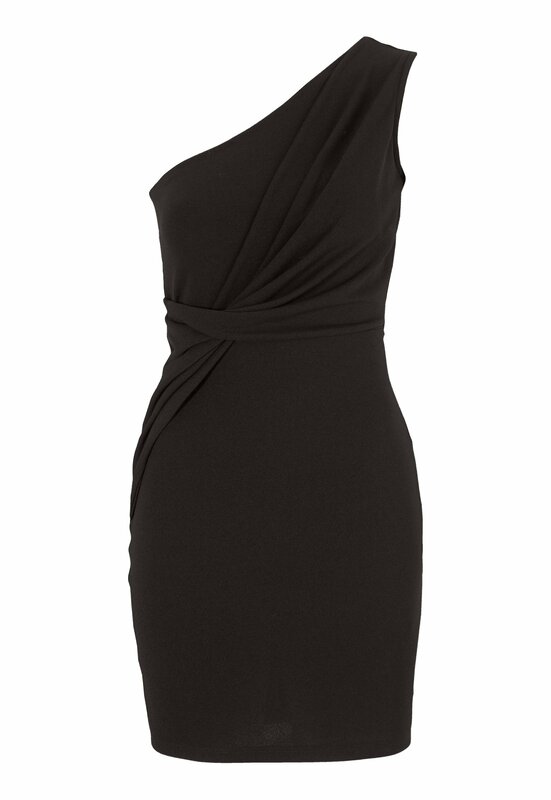 The dress has attractive draping at the waist that accentuates the figure and creates a beautiful silhouette. Total length of garment in size S: 86 cm.